Mizuma Art Gallery is pleased to present “BONSAI: A droplet in a hand” an exhibition by YAMAMOTO Masao opening on Wednesday, 16th January 2019. Yamamoto is well known for his tranquil and poetic, black-and-white photographs in addition to his installations, and has been presenting his artworks mainly abroad. This exhibition is composed of works selected from the series “BONSAI” that was released in 2018, and series of work from “Tori,” exhibited domestically for the commemorating celebration of the GINZA TSUTAYA BOOKS. 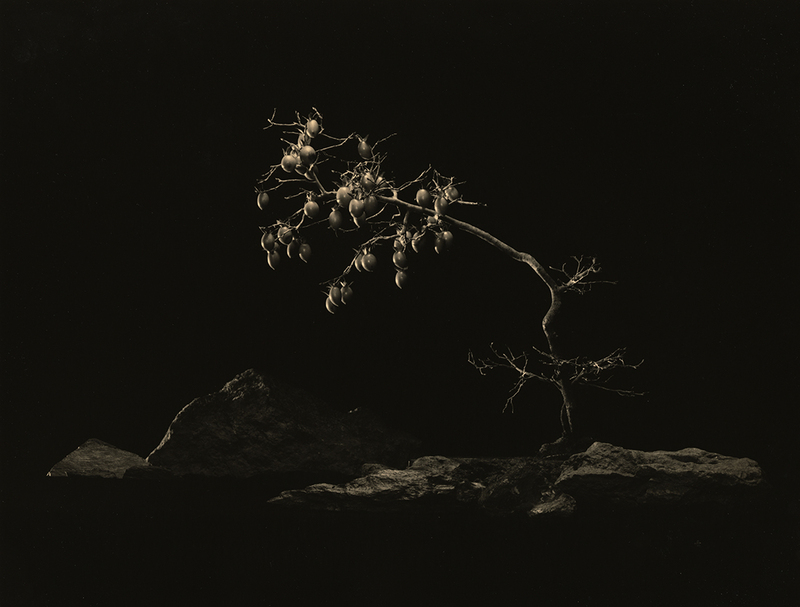 Yamamoto has occasionally likened his photographic work to Haiku poems. Yamamoto, who cherishes small things and trivial instances in life and deliberately seeks for light within, states that he finds similarities between the two for the expressive method of representing the infinite breadth through minimal elements. 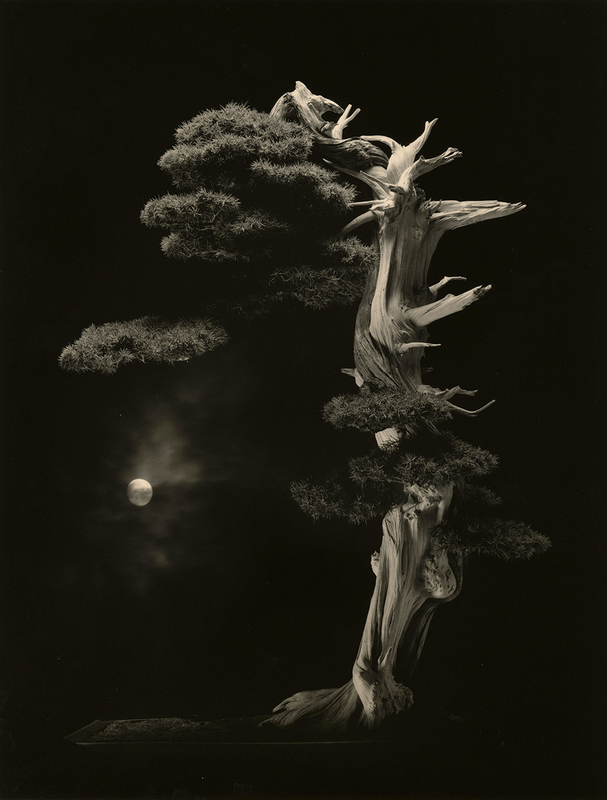 It was quite natural for him to have such profound interest in “BONSAI” that attempts to condense elements of nature and the universe into a limited spatial compass. After finding out that his neighboring resident is a Japanese representative bonsai artist; Akiyama Minoru, Yamamoto has used this opportunity to face various bonsai over the past few years. The founder of Sōtō school of zen, Dōgen wrote in his literary work “Shōbōgenzō,” that the single drop of dew holds the entire universe. 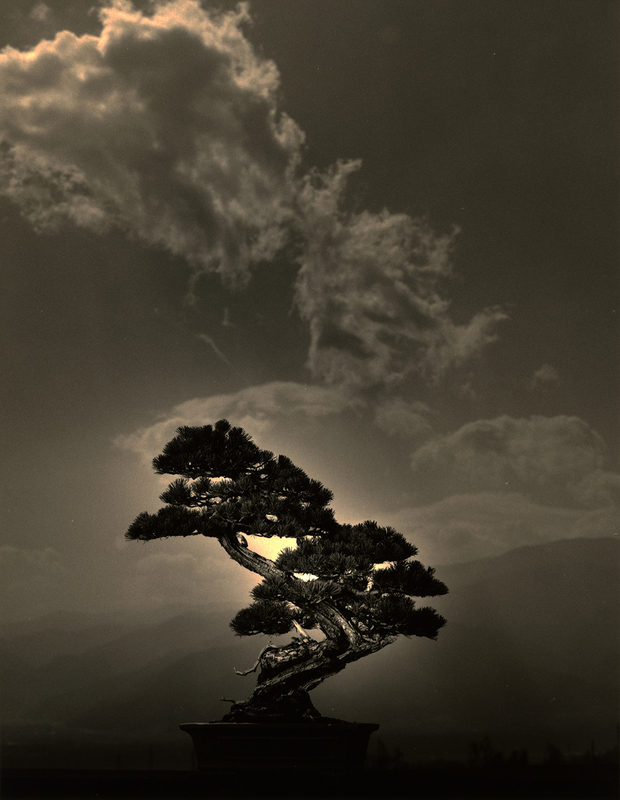 The light that bonsai quietly radiates is a trace of flow and harmony from beauty that emanates from various elements of the world just like the roadside rocks and tree roots that Yamamoto, up to this point, have captured in photograph as the subject. To confront bonsai that is said to connect with the theory of “Eidos,” is to also confront with the trajectory of aesthetic pursuit that humans have sought to grasp from this world. We eagerly invite you to discover a crystallization of serene dialogues amidst a minute universe, engaged at unknown corner of the world.